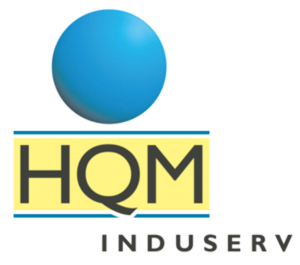 HQM Induserv GmbH is a subsidiary of the HQM Group with expertise in four core areas: quality services, container management and parts cleaning, measurement technology including calibration and contract measurement, and materials technology. The company’s customers come from the plant- and mechanical-engineering, automotive and medical-technology industries. Increasing market demands and rapid technological progress – particularly in the automotive-supplier industry – are making it increasingly important to have consistent quality assurance. For this reason, HQM Induserv GmbH attaches great value to compliance with the strictest guidelines for standards and security, including in the area of IT infrastructure. IT service provider digitronic and IT-Concepts Automotive implement two-factor authentication at automotive supplier Minda KTSN. Suppliers and development partners are obliged to take special care in handling their customers’ data. Those companies who can prove that they are protecting their IT systems from unauthorized access have a competitive advantage. Aside from data encryption, Minda KTSN Plastic Solutions GmbH & Co. KG uses this advantage in the form of two-factor authentication. The products of Minda KTSN Plastic Solutions, a subsidiary of Indian Ashok Minda Group, can be found in numerous cars around the world. The automotive supplier with its headquarters in Pirna, Saxony, and other locations in Poland, Mexico and China develops and produces plastic components and technical assemblies for vehicle interiors. The company covers the entire process chain – fro the first design draft to tool construction and production. Konstruktionsbüro Cramer & Co. GmbH in Georgenthal has been working for many years in engineering and design. Confidential data, like blue prints of purpose machines or automation systems, has to be protected against unauthorised access due to customers demand. “Because the requirements for suppliers of our customers raised we applied Secure Logon™ 2.0. With the easy integrable 2-faktor-Authentication is our confidential construction data at 15 workstations ideal protected on seven days a week and 24 hours a day. We are totally convinced of the flawless functionality.”, says Dirk Reichstein, IT-Systems administrator of Konstruktionsbüro Cramer & Co. GmbH.